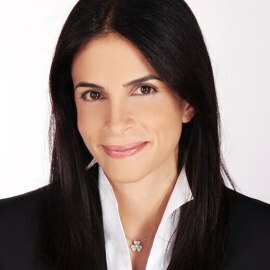 Ghada Trotabas is senior vice president of Marketing, Sales Operations and Customer Engagement at Siemens Healthineers. Ghada has been with Siemens Healthcare since 2001 where she has held two general management positions heading the Siemens Refurbished Systems and the Siemens Radiation Therapy businesses. Before this she has held a variety of strategy leadership and operational positions. Ghada holds a Master in Electrical engineering from the Ecole Nationale Superieure de L’Electronique et de ses Applications, a PhD in medical image processing from the Technical University of Darmstadt and an MBA for the Kellogg School of Management.